The collar is worked from the top down in one piece. The pattern is designed to increase with the changing of patterns throughout the rounds. 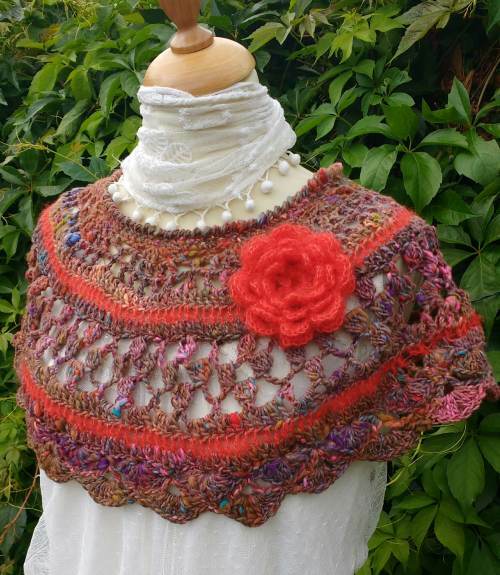 The textured nature and blend of beautiful colours of Noro Kotori lends itself to creating this unique chunky collar/poncho. Kid Mohair and Silk found in Debbie Bliss Angel also adds texture and contrast.